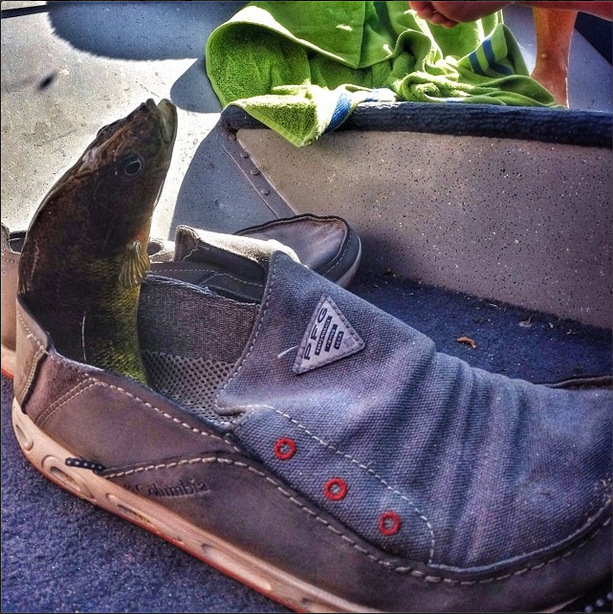 If you want your mind blown, give Columbia’s Bahama Vent PFG shoes a try. I’ve worn them in the Middle East and Korea as well as multiple water excursions in the Midwest and mountains of the United States. My first choice in water shoes is no shoes at all. They get in the way, don’t drain, and give you horrible tan lines. Or so I thought. Turns out none of this is true, with the exception of the bad tan lines. My first outing in the Bahama Vents turned into a 10 day romp in The Kingdom of Jordan. Columbia took me and nine friends and made a movie so look for that soon. At home in the desert (they keep your feet cool), on the town, oh, and in a fishing boat, these shoes do it all. I put them through some more testing on another week fishing and living on a lake in Wisconsin. It’s so great, the fish jump right in. Visit the following to find the best fish finder under 500 which can help make your fishing experience better. The shoe is comfy and sturdy enough for me to wear everywhere, including many mile on foot in Seoul, Korea. It’s classy styling let’s me wear it to the office and not worry about changing to hit the trail or the water.